Tickets will go on sale from 10am PST on Friday (May 11). Find a full list of dates below along with ticket links. A statement reads: “Queen & Adam Lambert will rock the Las Vegas Strip this fall with a 10-date limited engagement, The Crown Jewels, at Park Theater at Park MGM in Las Vegas. Before they head to the US in September, Queen & Adam Lambert will play shows in the UK and Europe this summer. For further details and to find out how to buy tickets, visit our Queen tour page. 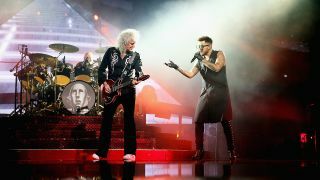 Speaking about the tour, guitarist Brian May said: “The almost unanimous reaction to our last round of dates in Europe was this is absolutely the best production we’ve ever mounted.